The world's principal measure of the health of economies is gross domestic product, or GDP: the sum of what all of us spend every day, from the contents of our weekly shopping to large capital spending by businesses. GDP also includes the myriad things that our governments pay for, from libraries and road-line painting to naval dockyards and nuclear weapons. 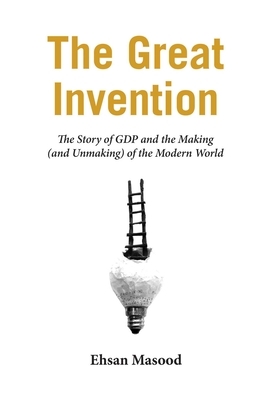 The Great Invention reveals how in just a few decades GDP became the world's most powerful formula: how six algebraic symbols forged in the fires of the 1930's economic crisis helped Europe and America prosper, how the remedy now risks killing the patient it once saved, and how this fundamentally flawed metric is creating the illusion of global prosperity--and why many world leaders want to be able to ignore it but so far remain powerless to do so. Drawing on interviews, firsthand accounts, and previously neglected source materials, The Great Invention takes readers on a journey from Capitol Hill to Whitehall--on the trail of theories made in Cambridge, tested in Karachi, and designed for global application--into the minds of unworldly geniuses seduced by the allure of power and the demands of politics.